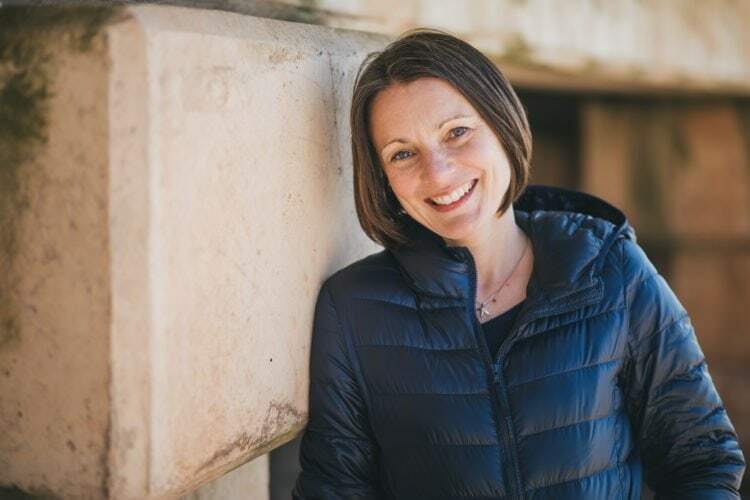 I am a mum, freelance recipe developer (development chef), scientist (2:1 Honours degree in biochemistry and genetics) and blogger specialising in free from food. I’m passionate about inspiring people to live a positive, wholesome life. As a recipe developer I specialise in creating recipes that are gluten free, dairy free, egg free, nut free, soya free and refined sugar free. Many of these are vegan too. I created, and brought to market the world’s first wholegrain gluten free flour blend (that is rice free too) and I have online recipe books and a course teaching people how to follow a wholesome gluten free life. 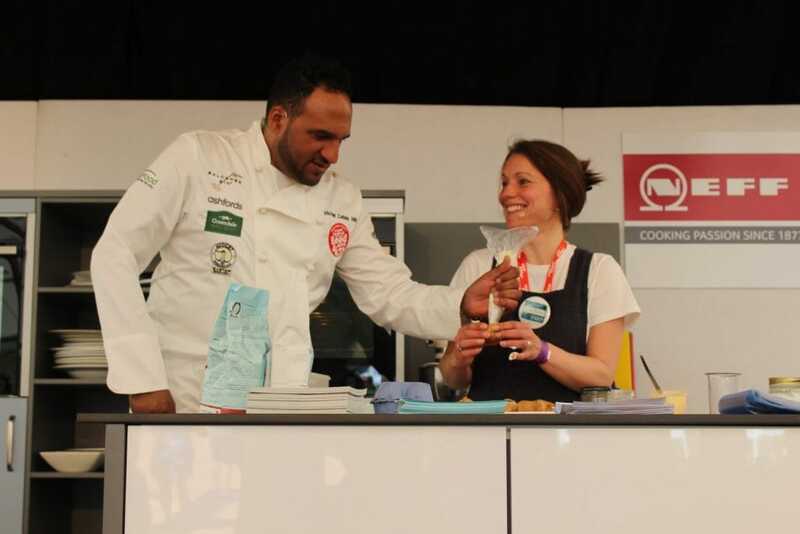 I am often found at food festivals as a cookery demonstrator and regularly give cookery lessons. I’m also a regular judge for the Free From Food Awards, Free From Eating Out Awards and in 2018, the new Nourish Awards. I’ve also recently been asked to teach the students at Michael Caines Academy in Exeter about free from food. My two children, ‘Roo’ (11) and ‘Sunshine’ or ‘Pickle’ (9) are often found in the kitchen creating recipes. They are both amazing cooks. ‘Roo’ was diagnosed with coeliac disease just before her third birthday (and previously had allergies to cows milk protein and egg). The road to the coeliac diagnosis took a year. I had a new baby to look after and my daughter was so weak and tired that she couldn’t even walk up a flight of stairs on her own. The doctor’s kept telling me there was nothing wrong, or that she had ‘toddler diarrhoea’ but I trusted my instincts and pushed until they finally tested her. I wrote about the day she was diagnosed with coeliac disease here. Roo inspired me to start this blog to showcase my quick, simple, tried and tested free from recipes. I believe that with some kitchen experimenting everyone can eat delicious, healthy and nutritious food and nobody needs to feel left out. All the recipes on my blog are gluten free, most are dairy free and many are free from other allergens and irritants too (they are all labelled fully). I am passionate about creating free from food that is better for you. Whenever I make treats I significantly reduce the sugar they contain, or use sugar-alternatives. After giving up sugar in February 2016 my Irritable Bowel Syndrome (IBS) significantly improved. I have suffered with IBS since my late teens. Since then I’ve tried a lot of different diets and remedies in my quest to find a happy tummy. I’ve learnt a lot about food and the effect it has on the body during this time. I hope what I have learnt is useful to others. 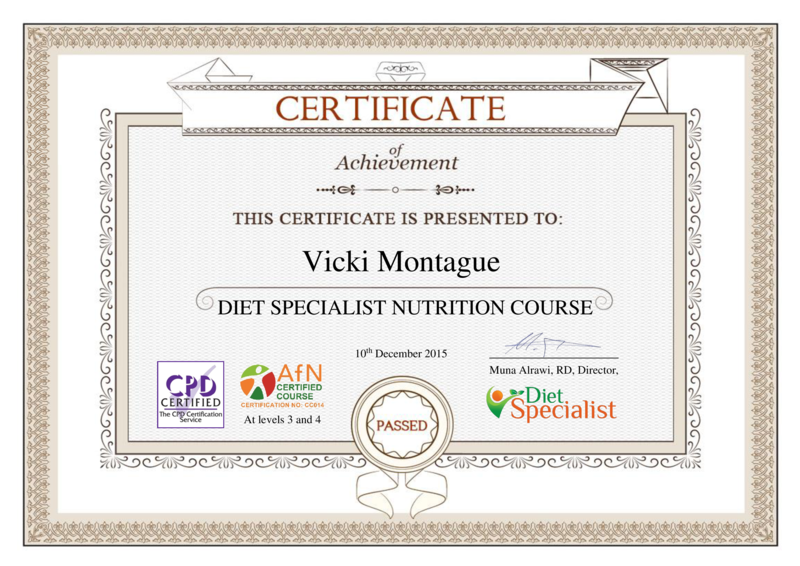 In 2015 I passed an AfN certified course (level 3 & 4) in nutrition, allowing me to practice as a nutritional therapist. I use my knowledge to ensure that all of my recipes are as nutritious as possible. I firmly believe that you are what you eat and I’m fascinated by the gut microbiota. It is my view that this will be key to managing disease in the coming decades. Over time I have become more interested in a holistic approach to wellness. I am beginning to understand the importance of meditation, sleep and movement along with food. I’ve become increasingly interested in the use of essential oils as medicine and as such am a doTerra Wellness Advocate. I’m also exploring natural alternatives to cleaning products and skin care. Through my own research I am beginning to understand the effect that chemicals have on our health. Along with creating recipes for my blog, I work with companies and magazines to create bespoke recipes. As a freelance recipe developer I create recipes for new businesses bringing products to market. I also work with larger businesses on new product development. In addition, I create recipes that showcase free from ingredients and existing products. You can find out more about working with me here. If you would like to find out more about my wholegrain gluten-free flour blends and how you can buy them then click here. If you’d like to work with me then do get in touch via my contact page.